Diving Subic Bay is kinda like your favorite fishing hole, you are not really sure that you want to tell others about it. Subic Bay is located about two hours north of Manila in the Philippines. While the Philippines is know for great reefs, outstanding visibility, remote dive sites, white sand beaches, whale sharks and world class drift dives, none of that describes the diving at Subic Bay. Even the Philippine's Department of Tourism does not list Subic Bay as a top dive destination. With an introduction like this, you might be wondering why I am even writing this. 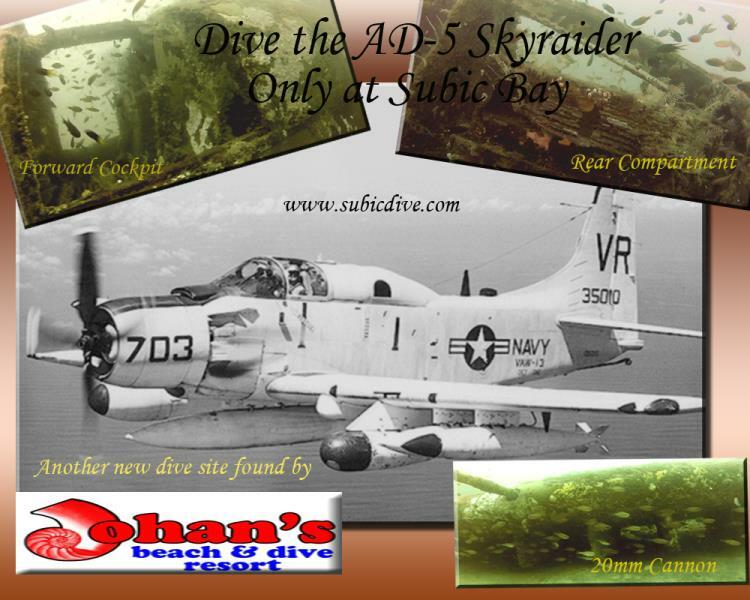 Simply, Subic Bay has some of the most accessible wreck diving in the world. There are wrecks for both recreational and technical divers, Subic is one of only two locations in the Philippines that offers tec diving. Subic Bay is a deep water bay, the mountainous Redondo Peninsula separates the bay from the South China Sea/West Philippine Sea. USS New York (ACR-2):USS New York ( ACR-2, aka USS Rochester) is one of the most exciting and versatile shipwreck dive sites in Asia. It is Subic Bay's signature dive. The 117 meter long, USS New York lies on its side in 28 meters of water. The New York has a beam of 19.8 meters, however, Almost a half of the wreck has sunk into the sand leaving the starboard side in 18 meters of water. Built in 1893, the USS New York is as impressive today as she was back when she was the flagship of the U.S. Fleet that defeated Spain’s Caribbean fleet in 1898. Generally a dive for AOW divers due to depth and visibility. The most sought after tec site for Tec wreck divers. SS El Capitan: SS Meriden (1919)- SS El Capitan (1923) – USS Majaba/ AG-43 (1942) – El Capitan (1946) the 90 meter long freighter sank in a storm after WWII, while waiting to be repaired before being returned to its owner. She sits in a protected bay within Subic Bay on her port side in 21 meters of water. She is likely the most dived wreck in the bay as she is a favorite site for second dives. Divers doing the LST and Japanese Patrol Boat will often do their second dive here. Recreational wreck divers enjoy it for its easy penetration dives. The starboard side is covered in coral and at only 5 meters deep it is one of the favorite sites for macro photographers. It is also used for open water and wreck diver training. LST: A Landing Ship Tank sitting upright in 36 meters of water with the top deck at 28 meters. 100 meters long and a 15 meter beam. The superstructure is mostly gone, it appears the ship was used for target practice. San Quentin: The oldest ship wreck in Subic Bay, little is left of her, still she is a great dive. Originally build by Cunard Lines to serve as a passenger and mail ship between England and New York in 1852, she was sold to the Spanish government. At the outbreak of the Spanish American War, she was scuttles in the only narrow channel on the east side of Grande Island to block that channel. Siting next to a reef she has become a reef herself. These are just a few of the wrecks at Subic Bay. So the question rises why is the bay not more popular. The visibility is a challenge at times and while there are some good reefs they do not measure up to the open water reefs. The only time there is a current is at tide change and it is mild. This is one of the causes of the poor visibility, it also means no drift dives. 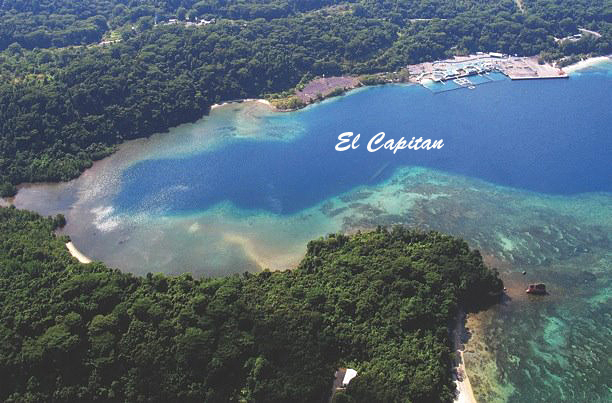 Why does the Department of Tourism not support Subic as a dive destination? The Subic Bay area with the Subic Bay Freeport Zone, the City of Olongapo and the town of Subic has a strong tourism presences. It is the leading domestic tourism destination for short holidays and weekend trips, It is in the top three for domestic tourism overall, it is the leading destination for conferences outside of Manila and in the top 5 for international tourist. DOT said Subic does not need our help and other dive destinations only has diving as a means to get tourist. 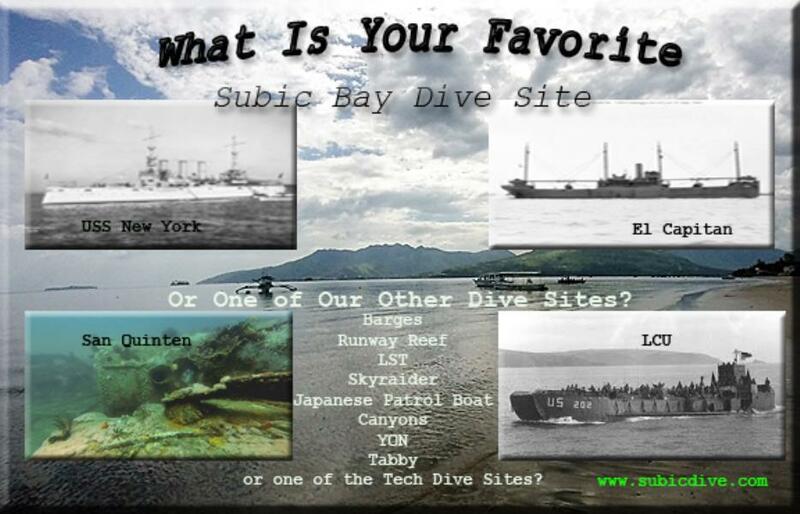 If you love wrecks you will love Subic Bay. If you are traveling with someone not a diver remember that Subic is a leading tourism destination.